Powervamp Ltd is founded by Richard Roller. Soon after the company is incorporated, it moves from the family home to its first premises just outside Weston-super-Mare. The 600 square feet building is to become home for the next 3 years. Powervamp creates its first 12V DC portable jump start pack range. 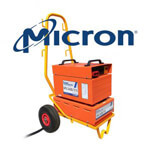 Shortly afterwards it develops a 24V DC range, although all packs are assembled and repaired in small quantities only for the automotive sector. The Fleet Manager at West Midlands Police workshop asks if their automotive 24V pack (purchased to start their 7.5tonne Ford Cargo horsebox) will start their Eurocopter Squirrel helicopter. It does. Richard sees a new opportunity and develops the first stainless steel Powervamp ground power unit (GPU). The first 28V DC power supply is designed, and manufactured, to facilitate a requirement for providing continuous power to aircraft during software upgrades or avionics programming. Powervamp relocate to a new 2500sq ft office / workshop premises to facilitate increased production of the automotive jump start pack products and ground power units. The factory has a new mezzanine floor installed to create an additional production area with increased stock holding ability. The ISO9001:2008 standard is achieved, which marks the start of a program of continuous improvement to ensure customers benefit from consistently strong performance and reliability. Powervamp wins its first landmark military contract to supply the Brazilian Army with a large quantity of DC ground power units. As the worldwide distribution network grows, so do the opportunities to supply to previously inaccessible military organisations and international governments. Powervamp supplies its first Farnborough International Airshow with a small quantity of DC ground power units and power supplies to providing power to the aircraft in the static airpark. This is the start of a 20yr+ relationship with the UK’s largest biennial air show. With experience, and confidence, gained from the previous years Farnborough Air show – Powervamp bid for, and win, the contract to provide a larger quantity of ground support equipment (GSE) for the International Paris Air Show. A fluid environment means power calculations; bespoke cables runs and equipment installation are all carried out ‘on the fly’. Transport and logistics also prove to be an important learning curve for the company. As part of the dynamic approach to product development, the company creates its own computer aided design, (CAD), department to facilitate immediate design improvements to its expanding product range. The department also allows full control over the design process from initial concept to full 3D render in an expedited timeframe. The 2008 Singapore Air show contract tests the staff, equipment and logistical skills of the company as the newly assembled air show team flies 7000 miles in support of the event. Ground power units (GPUs), power supplies and air-conditioning equipment are flown weeks in advance of the show to ensure minimal delay when the team arrive on site. Working long hours in temperatures up to 33°c on the exposed static display is a true test of the company – in every aspect. The first Coolspool DC battery cart is developed to offer both civil and military operators a silent ground power unit with outstanding ‘green’ credentials’. Powervamp is one of the first aviation ground power manufacturers to embrace the shift in environmental opinion, and researches alternatives to diesel powered equipment. With a larger product range, increased workforce and a requirement for greater stock - a decision is made to take on an additional 7000sq ft dedicated production facility. A further 5 units are also adopted to house finished products, company vehicles and a forklift. Powervamp acquires Effekta UK Ltd – a Bedford-based manufacturer of advanced solid-state 400Hz aircraft converters and standby emergency lighting systems. Acquiring Effekta adds technical and commercial strength to the Powervamp financial reserves whilst also allowing it to tender for major international projects through its increased product range. The PV90-3 400Hz frequency converter is launched at the Inter-Airport Europe airport exhibition in Munich. Despite Powervamp being the ‘underdog’ in a fiercely competitive industry, the successful launch marks the start of a long campaign as the company starts to gain traction within the UK airports. Powervamp win a tender to supply a large number of heavily modified aviation power supply’s to Jaguar LandRover. The aviation derivative replaces an aging charging system within the production line, but more importantly, it allows Powervamp to showcase the benefits of having in-house CAD and engineering divisions to assist in creating this bespoke product. Another important tender is won with the Japanese Ground Self-Defence Forces. A quantity of bespoke GPUs have to fit in the back of a military 4x4 and be supplied with extra long output leads to allow the vehicle to clear the rotor blades whilst the GPU is in operation. 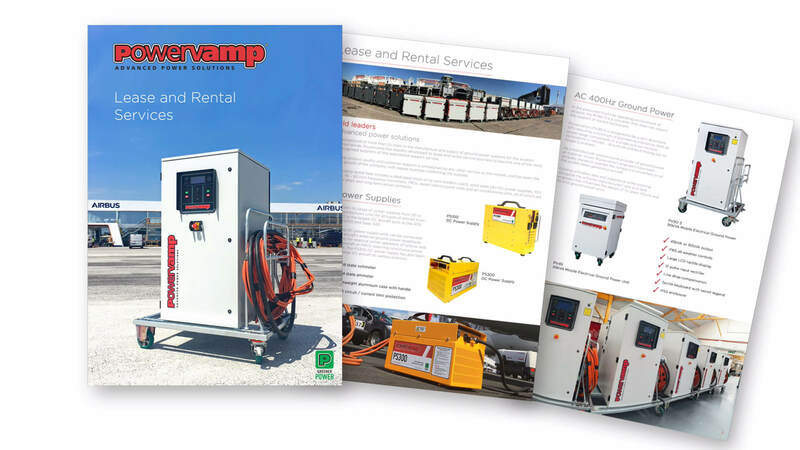 A true aviation world first is achieved when Powervamp is approached by a well known budget airline with a requirement for a 115V AC 400Hz frequency converter powered by an integral DC battery source. Working closely with the airline, Powervamp delivers a stunning prototype that is still in regular service today – some 5 years later. The benefits in reduced CO2 emissions and lack of noise, combined with the huge savings in diesel costs, gives the airline outstanding advantages. Powervamp enters its Coolspool battery cart into the North Somerset ‘Business Leader awards for Innovation’…and wins! The aviation battery cart is applauded for its design and environmentally friendly credentials. The ‘Greener Power’ program launches to constantly monitor and evaluate Powervamp practices and products. The program ensures the company provides only the most environmentally efficient and sustainable solutions within all four of its division. As the ethos behind the program gains momentum, it is soon adopted by the aviation industry in general. Powervamp works closely with London Heathrow Airport to re-engineer a cable carrier system to power aircraft whilst at the airport terminal. The ‘Sidewinder’ is hailed a success by the airports management, for its cost saving potential and also by the ground crew for its ease of use. The ‘Sidewinder’ sets a new standard at the airport and a number of confirmed orders soon follow. Apple decides to open its 300th store in Covent Garden, London, and Powervamp wins the contract to supply and install an Effekta EF5 emergency lighting invertor. The invertor supply’s back-up power to the feature staircase and LED lights should the mains power to the building fail. The Ministry of Defence awards Powervamp with a contract to supply a large number of Coolspool DC ramp carts to multiple air force and naval bases around the world. Deciding factors include low running costs, proven reliability and the ability to modify the cart to the MOD’s specification. Ahead of the 2015 General Election, Powervamp win a tender to supply a number of its EF5 emergency lighting inverters to No10 Downing Street. This is the first of many high profile installations for the company as its reputation for quality and customer service spread throughout the industry. Powervamp is contacted by Air Tahiti with a requirement to replace their aging fleet of diesel ground support equipment (GSE) with an environmentally friendly alternative. The Coolspool cart is extensively tested by the regional airline, before they conclude that the financial savings, ease of use and ‘green’ credentials are ideal for their application. The UK’s busiest airport, London Heathrow, releases a tender for a quantity of 400Hz frequency converters. Despite being up against some considerably larger, well established companies - Powervamp win the contract. With London Heathrow operating regularly at maximum capacity, reliability and durability are key issues in the selection of Powervamp’s PV90-3 units. The Los Angeles Police Department, (LAPD), have a requirement for partially de-fuelling their helicopters to compensate for the additional weight of 2 x fully kitted SWAT officers. The ‘Portapump’ is the ideal solution and allows a fast deployment when required. The LAPD are impressed with the small footprint, single person operation, and fast fuel flow rate. AERO Specialties is appointed worldwide aviation distributor for all DC products. 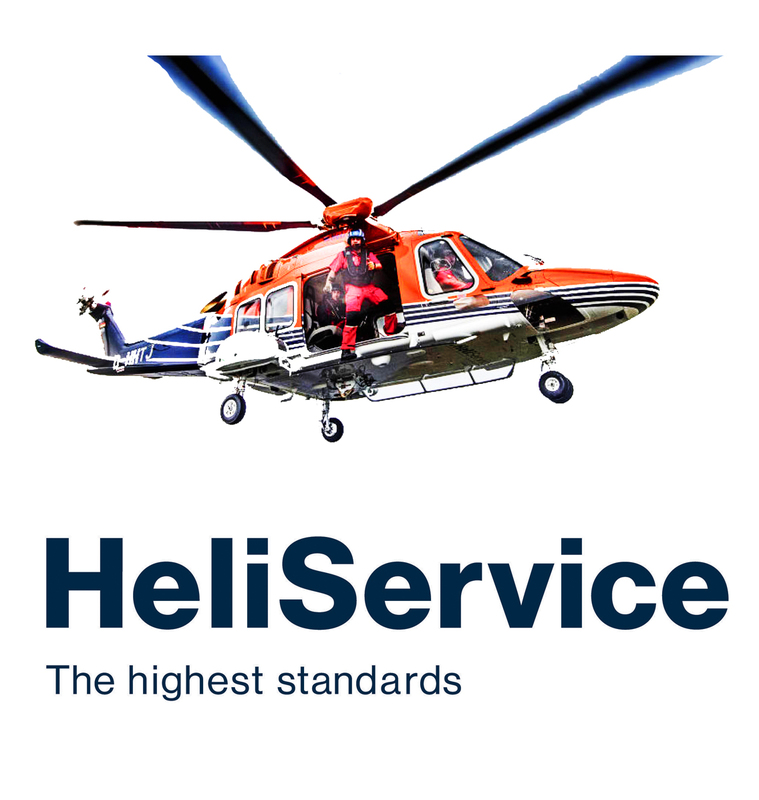 The ground support equipment (GSE) company is the preferred supplier to numerous organisations around the world. With access to its huge distribution network, its well placed to promote the complete Powervamp portfolio. In constant development over 25 years, the range includes aircraft start units, DC ramp carts, 400Hz converters, power supplies, hybrid diesel GPU and transformer rectifier units. Powervamp is a leading designer and manufacturer of emergency lighting inverters for use in workplaces and public buildings to facilitate the seamless switch to battery power. The range of professional 12V, 24V and 12/24V automotive jump start packs are engineered to multi-start a wide range of engine sizes – from small petrol cars to large commercial plant. The Powervamp ‘Effekta’ range of static frequency converters employ high frequency PWM technology (IGBT’s) to ensure a high quality output is available under all load conditions. Formed in 1994, Powervamp Ltd is a world-recognised designer and manufacturer of specialist power equipment for the aviation, automotive and emergency lighting sectors. With customers in more than 60 countries, the company has built an enviable reputation for quality, product support and customer service. Powervamp operates a worldwide distribution network ensuring every continent has access to its product range. Rapid growth within both aviation, and emergency power divisions, has allowed the company to grow its graduate engineering department and skilled service team – ensuring Powervamp consistently wins, and retains business. 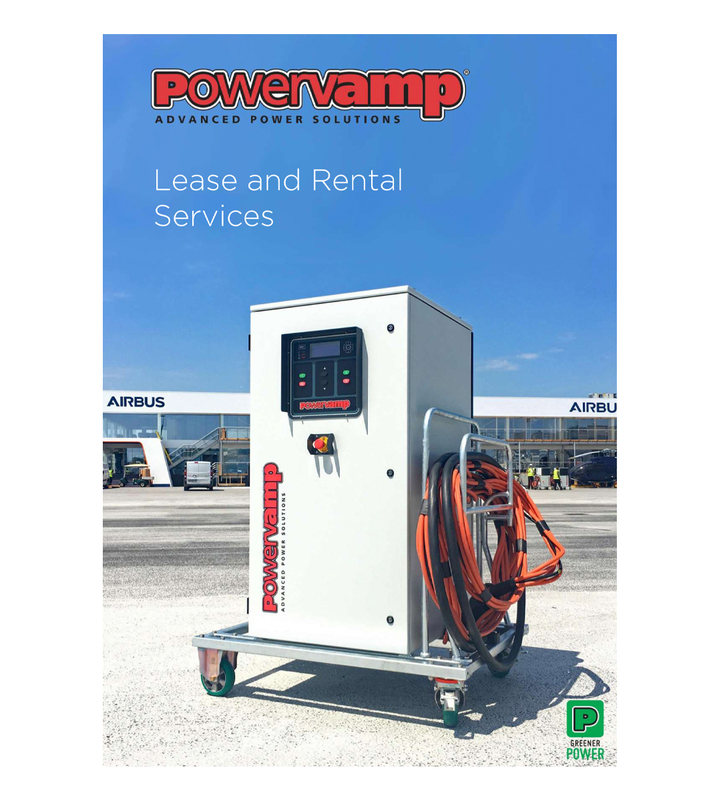 With a back ground of more than 25 years in the manufacture and supply of ground power systems for the aviation industry worldwide, Powervamp has steadily developed its lease and rental service business to become one of the most widely recognised suppliers of this specialised support service.